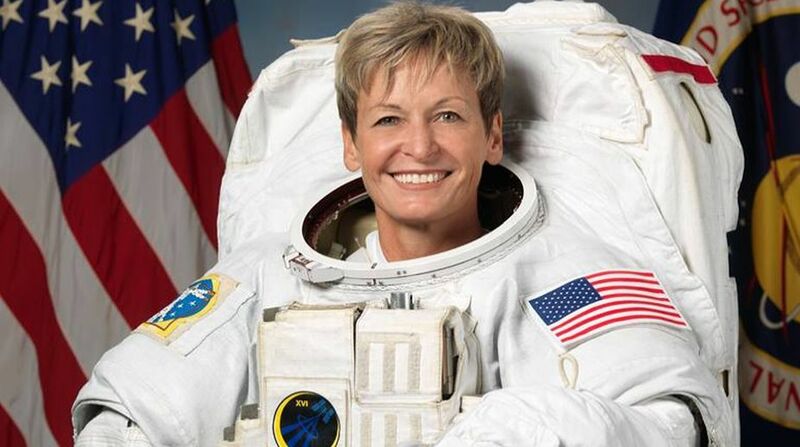 US President Donald Trump made a special Earth-to-space call to congratulate NASA astronaut Peggy Whitson for her record-breaking stay aboard the International Space Station. "Today, Commander Whitson, you have broken the record for the most total time spent in space by an American astronaut, 534 days and counting," Xinhua news agency quoted Trump as saying on Monday. "That's an incredible record to break and on behalf of our nation, I'd like to congratulate you," he said, describing Monday "as a very special day in the glorious history of American space flight". In response, Whitson said it was "a huge honor to break a record like this" and that she was "so proud of" the team that made this spaceflight possible. Whitson has held several records over the course of her NASA career. In 2008, Whitson became the first woman to command the space station, and on April 9 became the first woman to command it twice. In March, she seized the record for most spacewalks by a female. And at 57, she is also the oldest female astronaut in space. During the phone call, Trump asked several questions, including the timing for sending humans to Mars, despite the fact he signed a bill last month that set a goal for NASA to do that by 2033. "Well, I think as your bill directed, it will be approximately in the 2030s," Whitson said, explaining that "space flight takes a lot of time and money, so getting there will require some international cooperation".